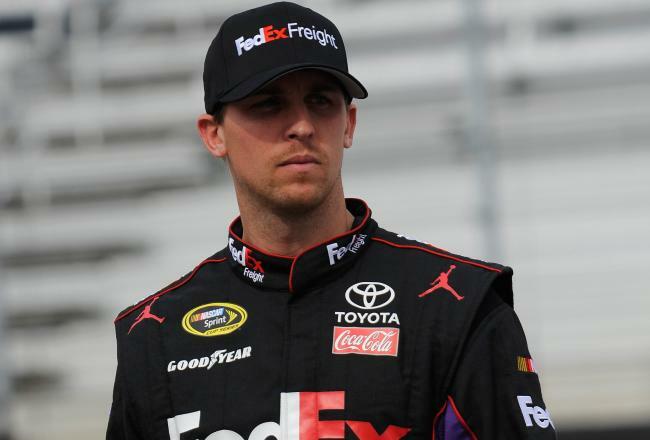 Denny Hamlin 2015 car to be driven in the NASCAR Sprint Cup Series with sponsor FedEx. 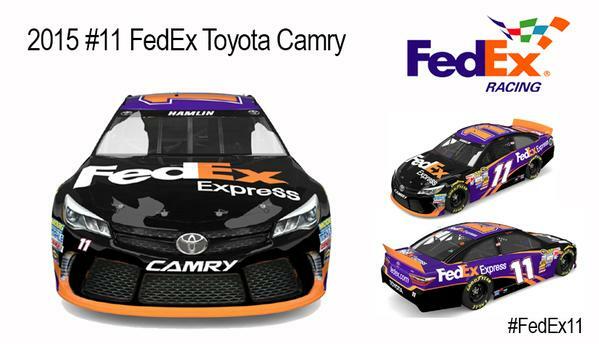 The team released a preview of the Denny Hamlin 2015 paint scheme on Twitter. A fresh ride for @dennyhamlin to make a run at the title again next year. 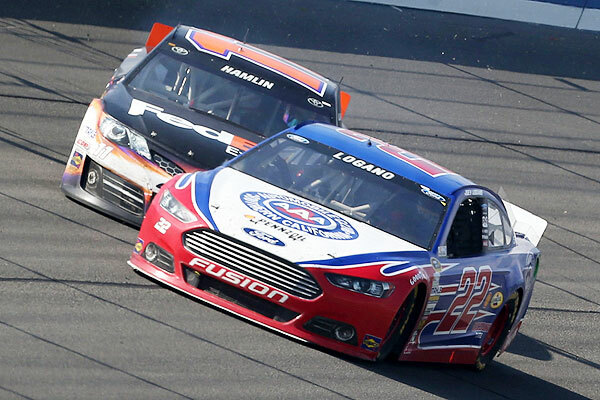 NASCAR fines Tony Stewart and Brad Keselowski on Tuesday. Both drivers were also placed on probation. 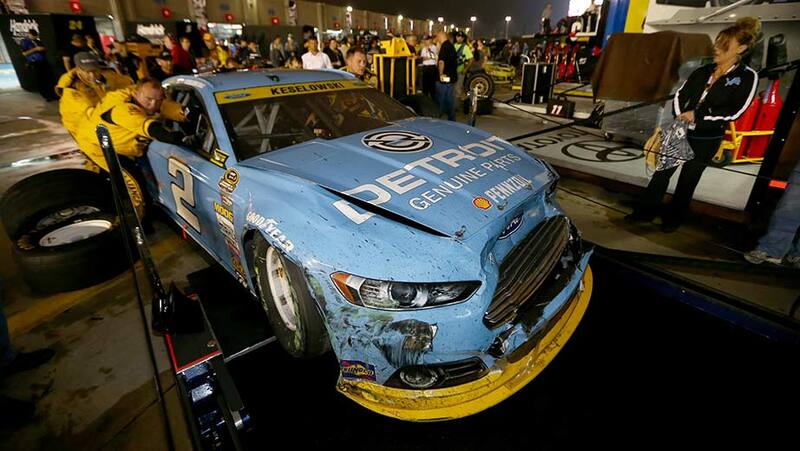 This was due to their post-race actions following last Saturday’s Bank of America 500 at Charlotte Motor Speedway. Click here to watch the videos of the incidents. Watch all the videos below. 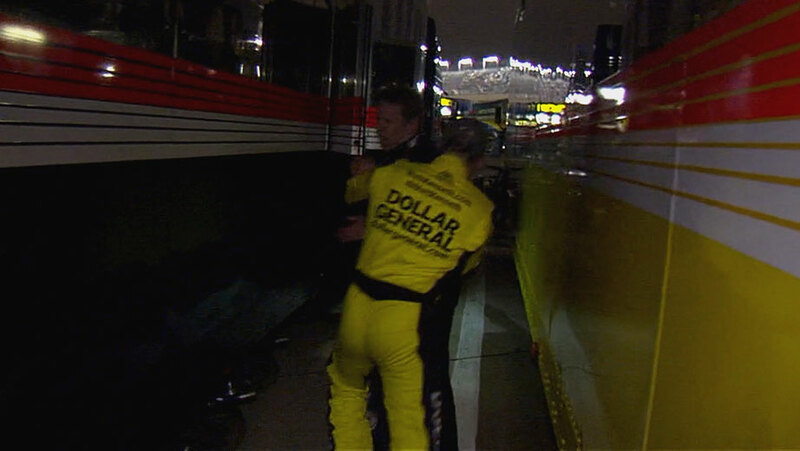 Brad Keselowski vs Matt Kenseth actually went to a physical altercation after the Charlotte event. CONCORD, N.C. — The new Chase for the NASCAR Sprint Cup format was supposed to add drama to the playoffs. Charlotte Motor Speedway Results 2014 led by Kevin Harvick. However, it was the off track action that stole the show in Charlotte. Watch all the post race wrecks via the videos here. 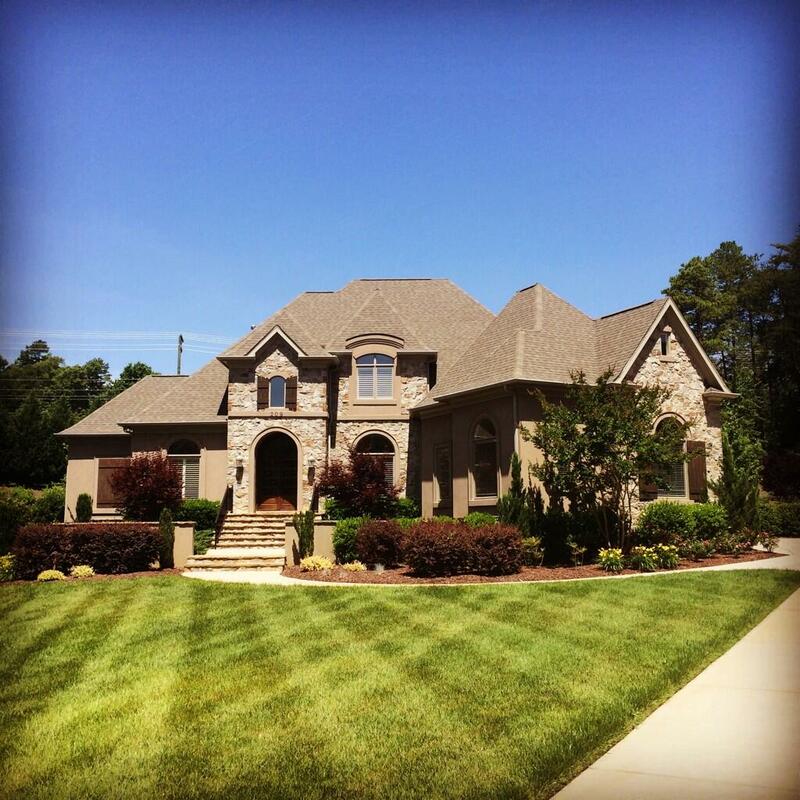 Kyle Larson house in Huntersville, NC has been purchased. 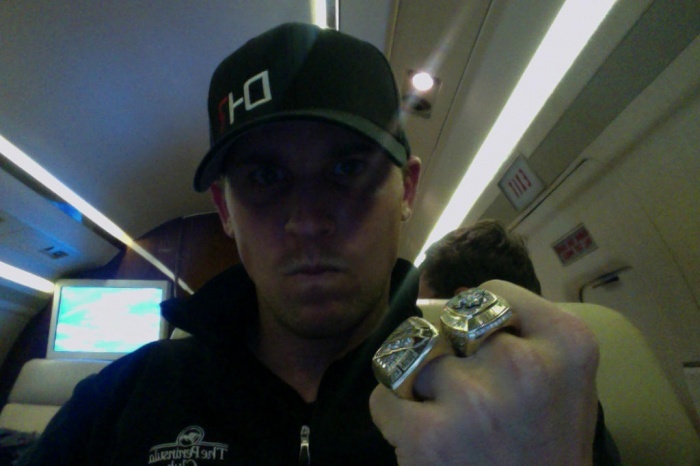 Now, his fellow NASCAR drivers have taken to twitter to provide comments. See the comments from Dale Jr below. Kyle Larson is the 21 year old rookie who drives the Target car in the NASCAR Sprint Cup Series. 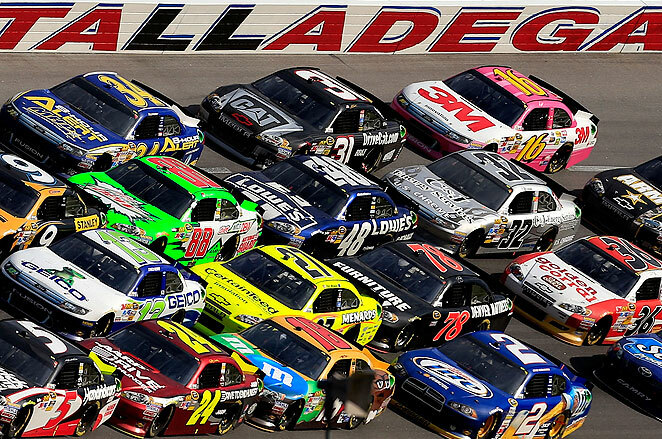 Denny Hamlin tops the 2014 Talladega Results from the Aaron’s 499 event. Greg Biffle followed in second and Clint Bowyer third. 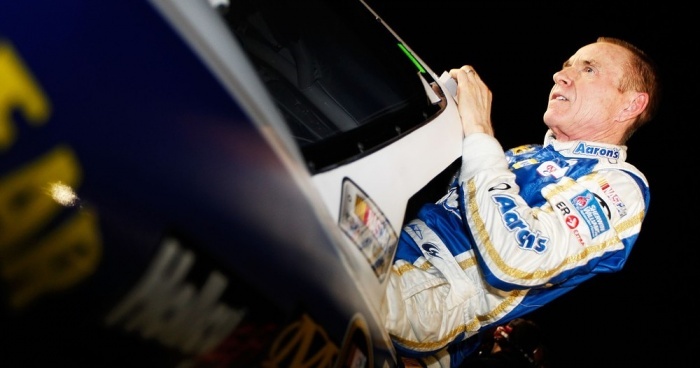 This marks his first NASCAR Cup Series win of the 2014 racing season. See the full results from the Alabama event below. 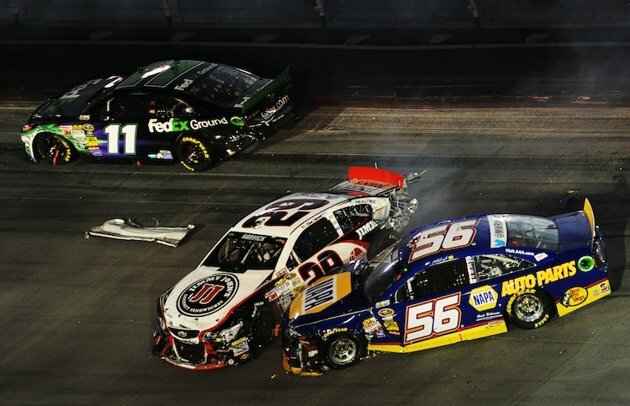 An MRI on Monday confirmed a scaphoid fracture and sprain of Martin Truex Jr.’s right wrist suffered after the Martin Truex Jr Bristol Crash . Doctors fitted Truex with a special cast Tuesday he’ll wear indefinitely. The cast enables him to better grip the steering wheel and compete in Sunday’s NASCAR Sprint Cup race at Atlanta Motor Speedway as well as the 11 remaining races. Denny Hamlin says he will be back in a race car Sunday at Talladega Superspeedway — if only to start the event. Veteran driver Mark Martin will drive Joe Gibbs Racing’s No. 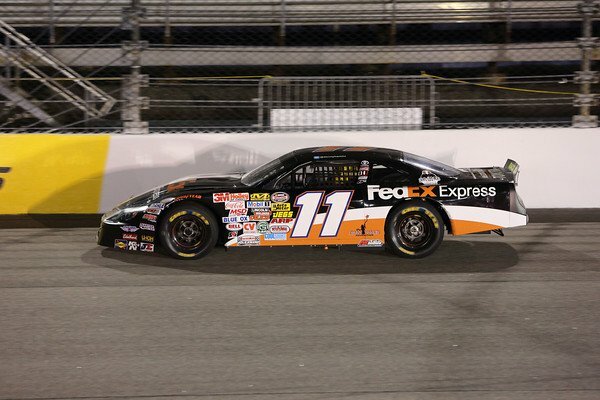 11 car while Denny Hamlin recovers, the team announced Thursday night. CHARLOTTE, N.C. — A search for the Denny Hamlin Replacement is in action. Joe Gibbs Racing is looking at several driver scenarios, including fellow Toyota driver Mark Martin, to replace Denny Hamlin while he recovers from a back injury. Here’s an update on the Denny Hamlin Injury after his crash last week. 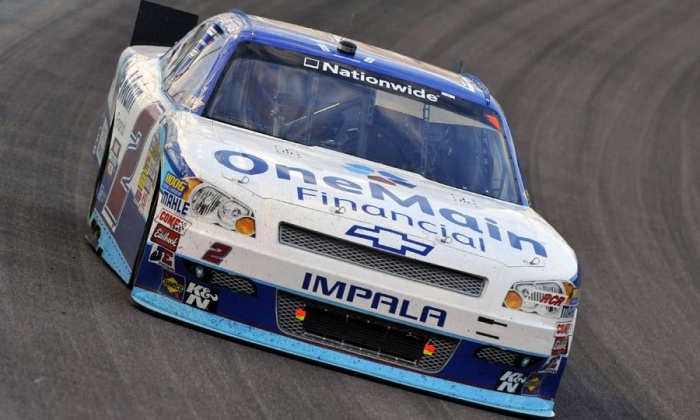 The NASCAR driver will miss at least five races but won’t require surgery after being evaluated on Tuesday after his last-lap crash on Sunday at Auto Club Speedway. FONTANA, Calif. — Denny Hamlin was airlifted to a local hospital Sunday after he and rival Joey Logano wrecked while battling for the lead on the final lap at Auto Club Speedway. 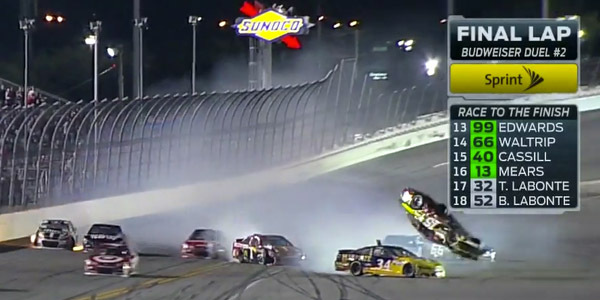 Take a look at the Denny Hamlin crash video below. 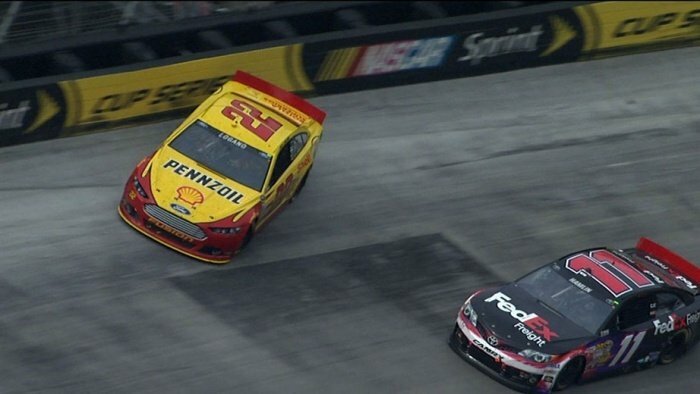 Now it’s Tony Stewart vs Joey Logano and this one has nothing to do with your pick of any of the Hamlin incidents. 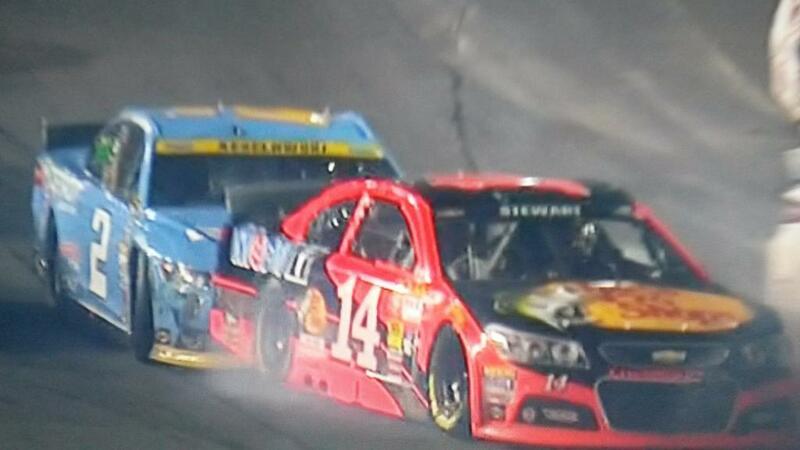 Stewart is mad at Logano for racing Stewart in the closing laps and simply not letting him go by and take the lead. 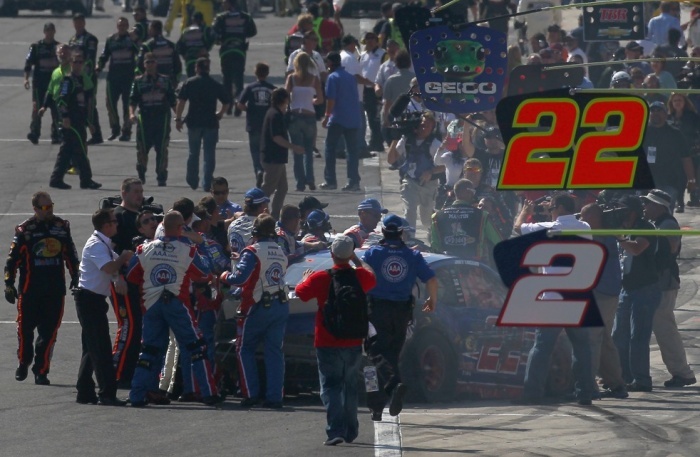 Tony Stewart vs Joey Logano took place on pit road after the race with Stewart attacking Logano. 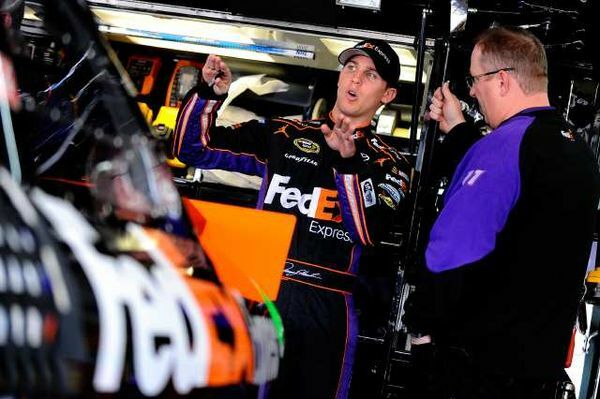 Denny Hamlin fined by NASCAR for comments made to a reporter now refuses to pay the fine. NASCAR has a lot riding on the 2013 season, and in particular its new “Generation 6” car. Dwindling attendance, sliding TV ratings, vanishing sponsors and new safety concerns have shaken the sport.